This centre is a 30-minute drive to Chengdu Shuangliu International Airport and provides ideal fully-equipped offices suitable for local and international companies alike, next to Hongxing Pedestrian Street. offering a professional and modern office space, this centre is ideal for all companies - whether a well-established business looking for a new home, or a start-up who needs somewhere to build. Conveniently located for anyone who chooses to use public transportation for their daily commute - Chengdu East railway station is nearest for mainline rail travel, while Chunxi Road underground station is just three minutes away. Located a short distance from Jindong Road and all of it's amenities, this centre, found of Dongda Road, is a few minutes from Dongda Road Subway Station and is connected to a number of bus stops. Close to tea houses, banks, restaurants, hotels, cafes and schools, this space is well connected to all you will need in North Eastern Chengdu. On office space filled with floors of co-working and private offices with a team and community to cater needs you didn't even know you had and space designed to promote productivity within your team of one right up to 100. Offering flexible month-to-month plans, with space just as agile as you and your business are and a one, all-inclusive rate, everything is made easy. This centre offers more than just desks, with proactive and friendly staff, fantastic amenities such as micro-roasted coffee and fresh fruit water, a community of forward-thinking companies, and in-house events connecting you to your neighbours organically and providing networking opportunities, this space could not be better suited to your business. This location is coming soon, however inquiries are being accepted now. Get in touch today to schedule a visit and don't miss the opportunity to work in this incredible centre. Office space prices ranging from ¥1200 - ¥3170 per month. This landmark contemporary office building provides high-quality office space with great views, as well as a mix of world-class shopping, restaurants and other facilities. This address is very well connected, with basement access to 2 Metro lines. The interior is light, modern and airy. Almost all decorations and furniture are made from natural wood. There is a large breakout area with comfy seating and large windows, providing fantastic views over the surrounding area. For your convenience, there is an ATM, copy and printing facilities and postal/ mail handling. Here, you can find a cohesive mix of western and eastern style and there is a belief that a respectful and interactive environment is the key to a successful workspace. Situated 3 minutes' walk from Tianfu Square Metro Station at the intersection of Metro Line 1 and Line 2, the centre is easily accessible by public transport. Parking is also available at the centre. In the surrounding area, there are many shops and restaurants to choose from. Also, as the centre is located on Tianfu Square, there is the highest level of security. 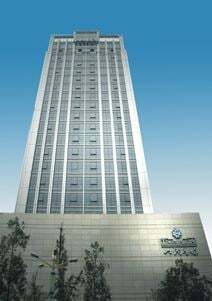 Shangri-La Office Tower provides top quality office space, with the latest in office building design and communications infrastructure. The tower has spectacular views of Chengdu's Jin Jiang River. It is located 20-30 minutes’ from the airport, and is nearby major international banks - including HSBC and OCB - and Chengdu's most popular restaurant and bar strip, perfect for entertaining clients and celebrating business success. This well-furnished space is the location for startups, small-middle size enterprises and state-owned enterprises. The interior is light, modern with wood featuring throughout. Desks are accompanied by lockable drawers, where you can store your belongings. There are well-equipped kitchens with microwaves and refrigerators. Comfy breakout areas include sofas and lounge chairs. Situated in the centre of Chengdu South Road. 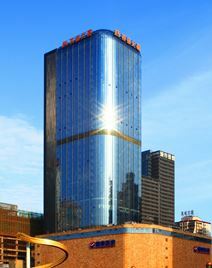 Located on the top floors of Block A, the centre enjoys uninterrupted views over Chengdu CBD. In the surrounding area there are many large scale state-owned enterprises. Tongzilin Station on Metro Line 1 is 5 minutes' walk from the space and K1/K2 2nd Ring Express Line is 7 minutes' away. Close-by you will find a range of eateries including Subway and Bavin Door River Fish. There is also many banks and ATMS. 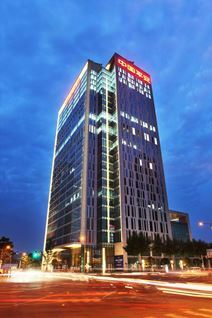 Located in the heart of Chengdu's CBD, these offices are situated in a landmark office tower. The offices are fully furnished, and include services and facilities such as state of the art IT systems, ergonomic chairs and a professional business support. Lease terms are flexible. The building is conveniently situated, with US and German consulate offices, excellent restaurants, high-end retail, major banks, and Sichuan University all within the area. It is also within 15 minutes’ of both the Chengdu Shuangliu International Airport and Chengdu Railway Station. Situated high up in this spectacular mixed-use complex, these high-quality serviced offices are perfectly suited for both local and international companies. Near to hotels, retail and eateries, as well as a host of public transport connections, this centre is well placed for your business. Within the Jianshe Road CBD this 32nd floor professional business centre is part of an eye-catching Chenghua office tower. Just 30 minutes from Chengdu Shuangliu International Airport the space consists of fully furnished executive office suites, as well as open-plan workspace with access to fantastic amenities. Superb connectivity, high-end fittings and a prominent location at the heart of Chengdu's CBD make this comfortable and professional serviced office centre the ideal choice for your next business address. 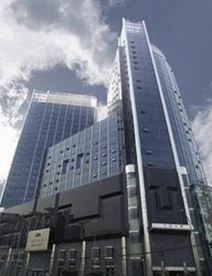 This business center is situated in the CBD of South Chengdu, and is easy to access via public transport connections. 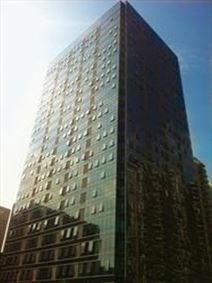 This is a high quality office building, offering professional reception, as well as a range of other useful amenities. Rent is all inclusive, and these spaces are ready for your business. 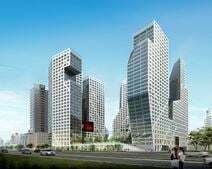 Situated at the High-Tech Zone of Chengdu, this centre offers maximum accessibility by both car and public transportation. Workstations are available for 2-12 employees, and the centre is ideal for a range of business types and sizes. Just Announced - The centre is in Wan Xiang Nan Lu. You can easily access to the centre by bus (number 84, 188, 26, 40, 187, 40 or 236). There is just few minutes walk to the bus station. The centre provides phone booths for conducting private calls and video chats, fruit water to keep you hydrated, meeting rooms for you to hold a meeting, cleaning services to tidy up your work place and social event for you to join so you can meet up with your coworkers. The centre located in Xi Yu Jie, Chengdu. You can easily access to the centre by train (line 1) or by bus (13, 30, 43, 47, 64, 78 or 905). The centre provide 24 hour access, air conditioner, onsite staff, phone booth, fruit water, conference rooms, high Speed Internet, micro-roasted coffee and Unique Common Areas. The centre is surrounded by comfortable hotels, banks, shopping mall and restaurants. This high-tech office building provides stunning office accommodation with a full complement of the latest in business support services. Set at the heart of the city's CBD, this site is just 20 minutes to the international airport, and is ideally for your base in Chengdu. The centre located in Zong Fu Lu which is the heart of Chengdu. You can easily access to the centre by train or by bus (4, 8, 18, 58, 81, 98 or 166). The centre provide 24 hour access, air conditioner, onsite staff, phone booth, fruit water, conference rooms, high Speed Internet, micro-roasted coffee and Unique Common Areas. The centre is surrounded by comfortable hotels, commercial buildings, banks, cafes and restaurants. Serviced offices in the heart of the western city of Chengdu are available for lease. The building is conveniently located, with nearby hotels, shops and public transport links. Chengdu is benefiting considerably from support from the central government, with its policy of stimulating economic growth in the western provinces - the ""Go West"" policy. The city has a business-friendly government and a raised international profile, being home already to many of the Fortune 500 companies.